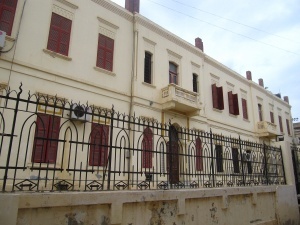 Walking tour in modern Tripoli including Algeria Square with its imposing mosque converted from a cathedral, and Green Square, the hub of Tripoli and shopping district. 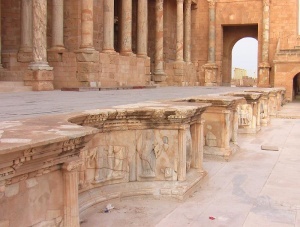 Highlights: Everything at Leptis Magna! This day starts with visiting the interactive and multimedia technologies museum of Libya. 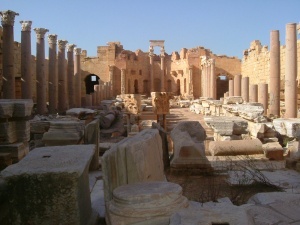 This museum is designed by a cooperation between technicians and the best Libyan archaeologists. The museum is situated in a beautifully park and has a very nice decorated coffee bar. 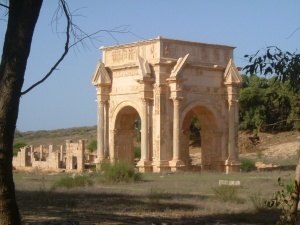 Afterwards we will enjoy the day at the spectacular Leptis Magna, the famous World Heritage Site said to be the best preserved and most intact Roman city in the world. 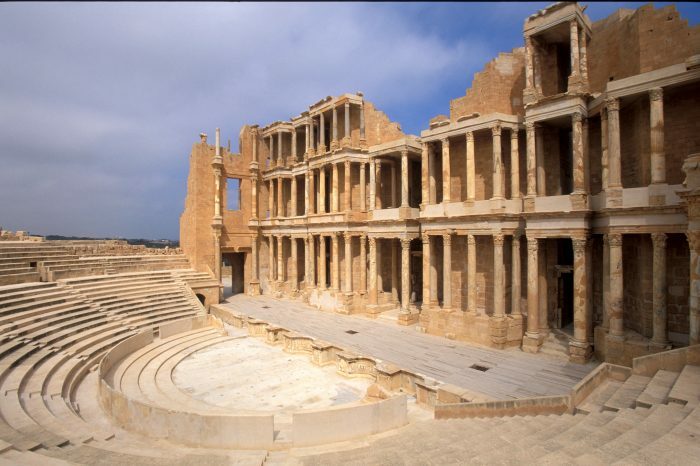 There are many marvels which include the theatre, Hadrianic Baths, the Circus and the Museum. Sculpted from the marble, the city will simply take your breath away. 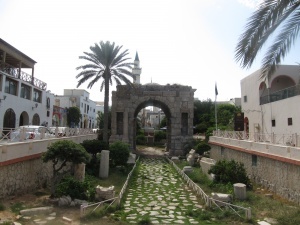 Today enjoy a full day exploring Tripoli city, where Italian and Turkish colonial periods have left an eclectic and fascinating architecture. 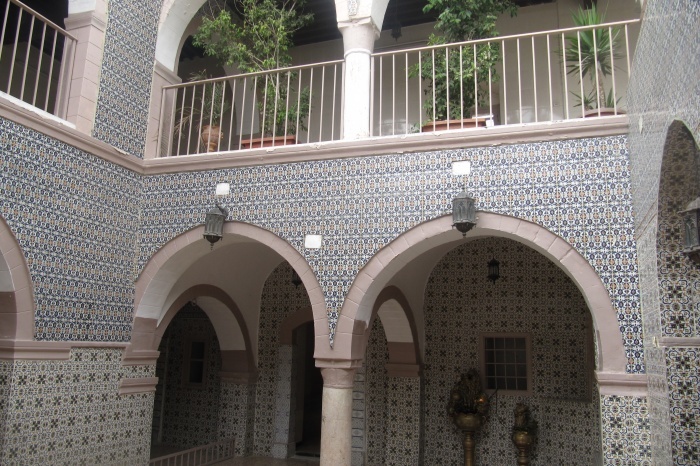 Visit the National Museum, housed inside the Sarayah Al-Hambra (or Red Castle), the Arch of Marcus Aurelius and the old town known as the Medina, which has an authentic air and features many historic mosques and hammams (Turkish baths). 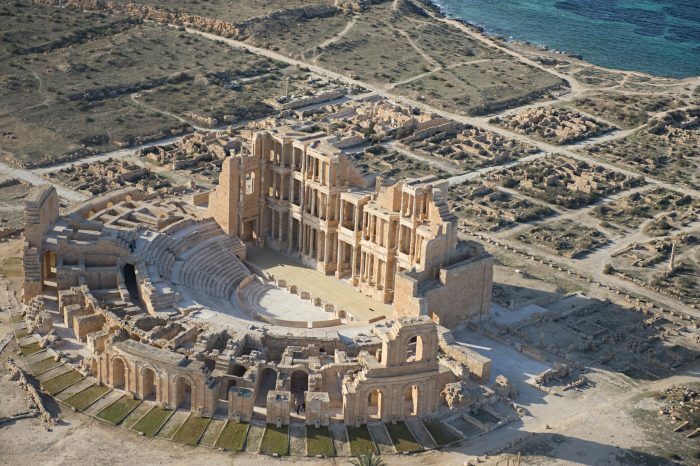 This morning visit the stunning Roman ruins at Sabratha, approx. an hour’s drive from Tripoli. 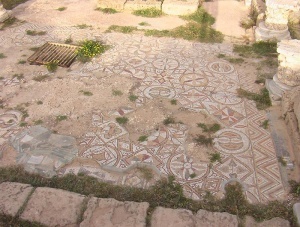 The city was built around the first and second centuries AD and is home to an array of ruins of temples, baths, mosaics and fountains. 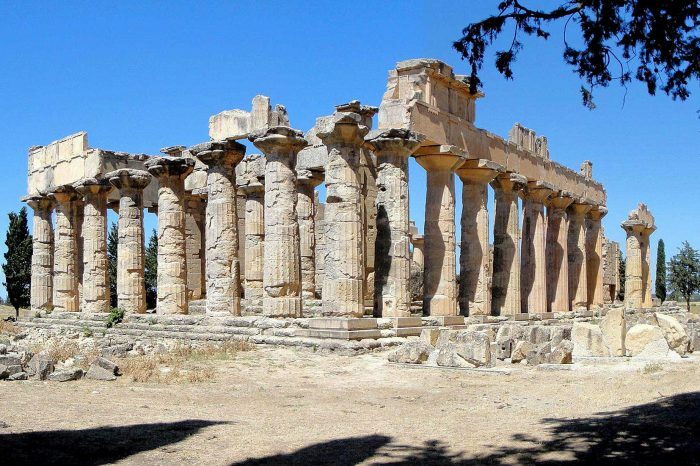 Visit the Mausoleum of Bes, dating back to the second Century BC, the Forum Basilica, the Antonine Temple dedicated to Marcus Aurelius and the Temple of Isis. Afterwards we will visit some beautifully beaches were there is a possibility for swimming. Return to Tripoli. Insurance not included, has to be covered by client.